5,000 sq. ft. coverage. 24 hour grub killer plus wiht dylox. Easy to use, ready to spread. Coast of Maine Bumper Crop Soil Amendment 2 Cu. Ft.
2 cu. ft. Blend of sphagnum peatmoss, composted hen manure, composted shellfish and special very old dark bark. 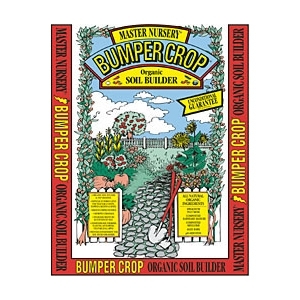 All purpose organic soil builder and top dressing. Get a jumpstart…this product starts working when the ground temperatures are still colder. 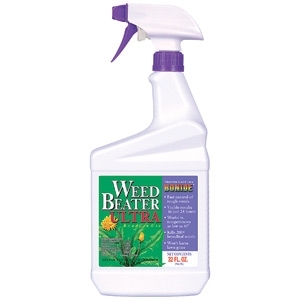 Kills 200+ broadleaf weeds before other products will start to work. Espoma, 20 Lb. 18-0-3 Lawn Food. Rich in natural organics with no phosphate formula. 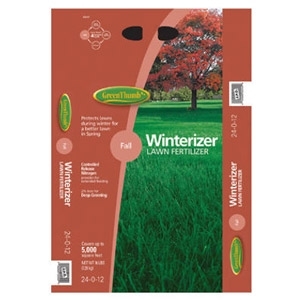 Premium Winterizer Lawn Fertilizer, Phosphorus Free. 16 LB, 5,000 SQFT Coverage, 24-0-12. Incredibly effective pre and post emergent control of goosegrass, nutgrass (and all sedges), crabgrass, foxtail and many, many other problem grassy type weeds. 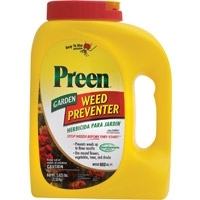 Safe to use on both northern and southern lawns. Excellent cool weather performance. One pint treats 2000 to 8700 square feet. 5,000 sq. ft. coverage. 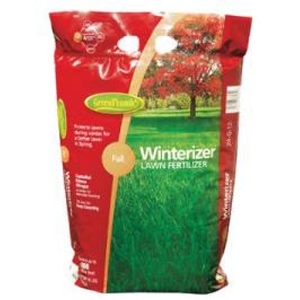 Premium winterizer lawn fertilizer. Phosphorus free. Full season weed control. Controls existing weeds. Excellent pre-emergent. Safe around trees and shrubs. For use on driveways, sidewalks, and patios. 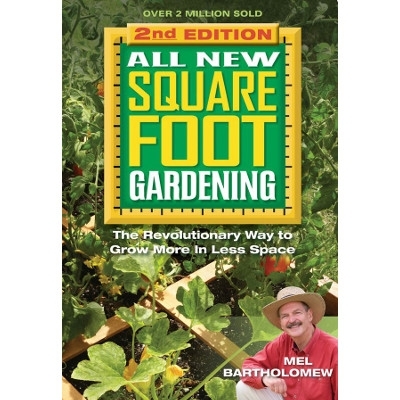 Best Selling Garden Author Mel Bartholomew has done it again! The book All New Square Foot Gardening is here at Waynesboro Landscape & Garden Center. Grow more in less space, saving money and producing a higher yield. Look in our “Events” when we will have a FREE seminar to explain the “how to’s” of raised bed and square foot gardening! 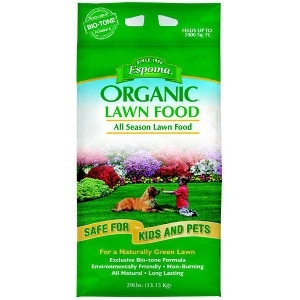 Finally you can have an affordable, chemical free lawn program that is safe for kids and pets. 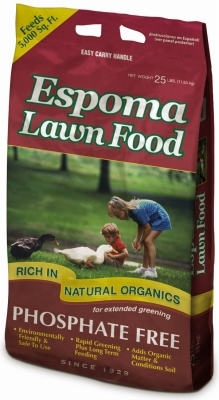 The Espoma Organic program is ideal for any lawn.It contains no pesticides or synthetic ingredients. 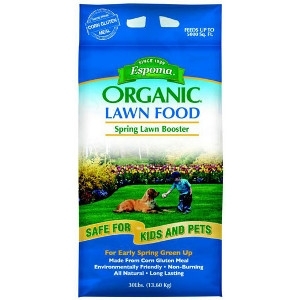 It adds organic matter to improve your soil while providing long lasting nutrition. In fact, it contains 2.5X more Slow Release Nitrogen than the leading synthetic program. That means it lasts longer, won’t burn or leach away, and you won’t have to mow your grass as often. Each product covers 5,000 sq. ft. and is specifically formulated to optimize greening at the time of application. 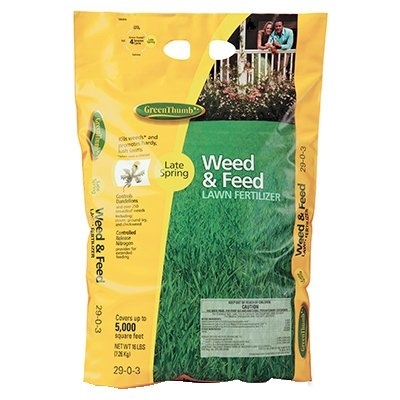 Green Thumb Fertilizer Plus Insect Control works in two ways to promote a healthy lawn. 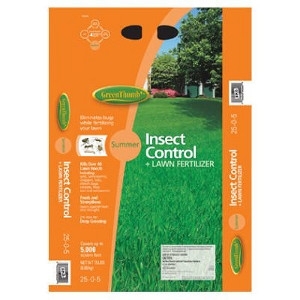 Use it to control lawn pest population and to promote lush, healthy lawn growth. For best results, use in the summer. Safe for all lawns and grass. Covers up to 5000 square feet. 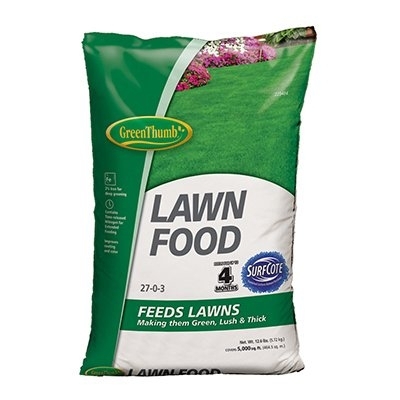 Green Thumb, 5,000 SQFT Coverage, 16 LB, 29-0-3, Step 2 Premium Weed & Feed Lawn Fertilizer, Phosphorus Free. 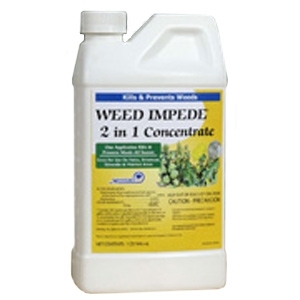 Controls Over 200 Different Broadleaf Weeds Including: Dandelion, Plantain, Chickweed, Knotweed, Henbit And Spurge. 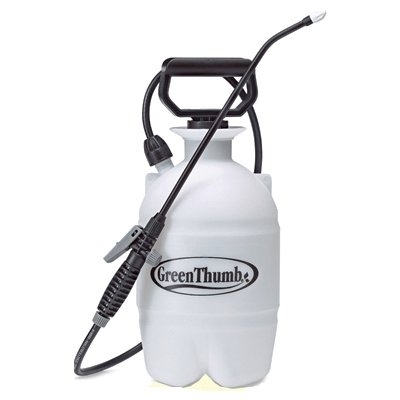 Green Thumb Garden Sprayer, 2 gal. You want your landscape to be as beautiful as possible and Waynesboro Landscape & Garden Center will help you cultivate a healthy, thriving lawn & garden. 5M Green Thumb 27-0-3 Lawn Food. Easy to use. Improves Rooting & Color. 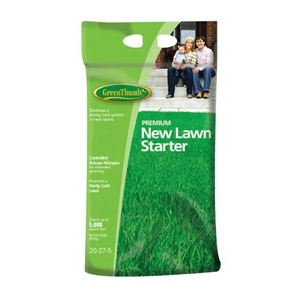 Promotes Thick, Lush Green Lawns. 2% Iron for Deep Greening. 50% Controlled Release Nitrogen. Covers up to 5,000 square feet. Continuously feeds for up to 16 Weeks! 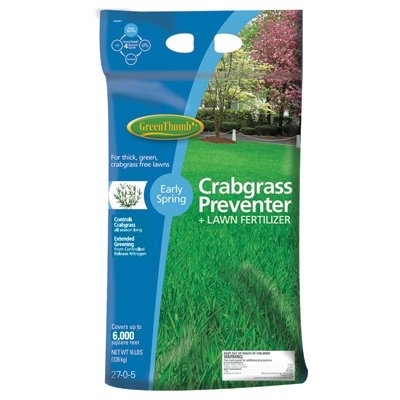 Green Thumb premium crabgrass preventer plus lawn fertilizer for early-spring application. 27-0-5 formula, 6,000 sqft coverage, 17 lb, phosphorus free. 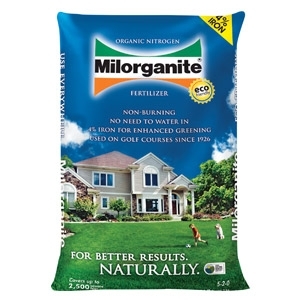 Milorganite is an all-purpose slow-release nitrogen fertilizer that can be used safely on lawns, flowers, vegetables, shrubs and trees, as well as a carrier when spreading grass seed. 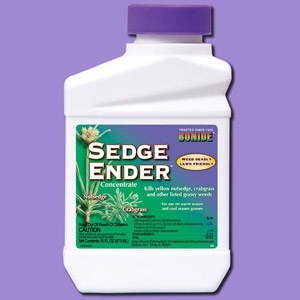 Protect your plant material from deer damange and fertilize, too! 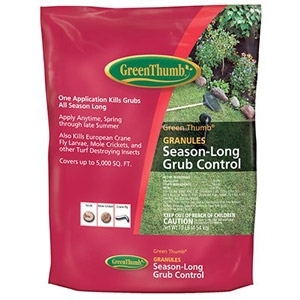 Formulated with high phosphorous to encourage new grass to develop a strong root system. Provides controlled release nitrogen for extended feeding. Polymer bag. 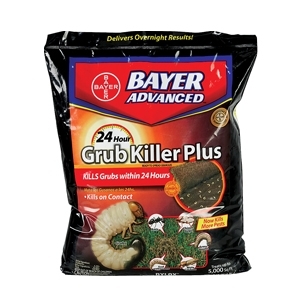 Provides season long grub control for nearly all turf damaging grub species. The systemic action lasts all season. Apply late May through mid-August for best results. Stops feeding activity immediately & kills quickly.